While the winter blues may be sending a chill through parts of the Sydney property market, the prestige section remains a sunny story. Take for example, a stunning and unique waterfront property our office is offering for the first time in 20 years in beautiful Elizabeth Bay. House-like in its size and “feel”, apartment 6 in 12-16 Billyard Avenue is attracting strong buyer interest, with price expectations around the $5.7-$6.2 million range. 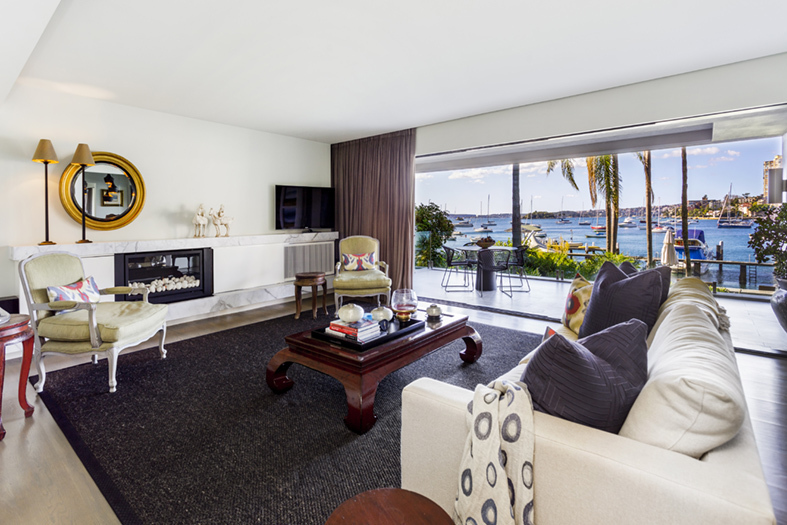 Located in the upmarket, absolute waterfront building, The Palms, this tranquil home boasts sophisticated décor, double parking, a sunny NE position and magnificent views from Elizabeth Bay to the heads. For more information, call me on 0412 225 993 or the office on 9331 9600. While many predict prices for new apartment developments will soften due to an oversupply in some areas of Sydney, the same can’t be said for two stunning developments in Potts Point. Demand for apartments in the soon-to-be completed 19-storey Omnia has been strong, despite the inevitably high price tag for homes boasting stunning views. Located in Victoria Street, the upmarket development offers luxury living and convenience, with Woolworths on the ground floor and Kings Cross Station just moments away. Just down the road, The Hensley is also attracting strong demand. Located in Bayswater Road, the boutique development currently under construction will offer upmarket one, two and three bedroom apartments. We are currently selling soon-to-be completed unit 701 in Omnia, which will feature two bedrooms, parking and breathtaking views. For more information, call Nick Thompson on 0423 846 888. Dreams are coming true for those wanting the re-instatement of the rainbow which was controversially ripped up at Taylor Square in 2013 after claims it was a safety risk. The rainbow crossing was initially painted across Oxford Street to mark 35 years of the Sydney Gay and Lesbian Mardi Gras before it was removed less than a month later. But now Lord Mayor Clover Moore has announced it will soon be reinstated in a new, safer location at the corner of Bourke and Campbell Streets at the southern end of Taylor Square in Surry Hills.